Toronto, Ontario. 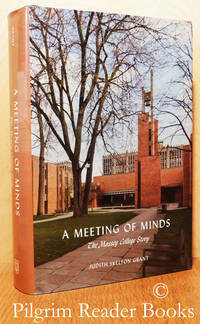 : University of Toronto Press.. Fine in Near Fine dust jacket. 2015. Hardcover. 9781442650206 . 8vo - 23 x 15 cm. ; ix - 778 pp. Black cloth over boards with gilt lettering on the spine. Opened in 1963, Massey College was built as a residential college for graduate students studying at the University of Toronto. The first Master of the College was Robertson Davies. Well illustrated with black and white photographs and reproductions throughout. Forty-nine pages of end notes and a 28 page general index. Other than some very light scuffing to the dust jacket, the book appears as-new and unused. . The Steamboat Era in the Muskokas. Volume II (2), The Golden Years to Present. 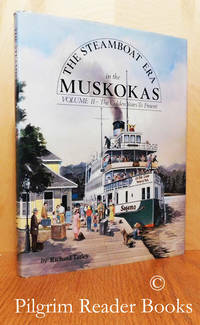 (A History of Steam Navigation in the Districts of Muskoka and Parry Sound, 1906 to Present). Erin, Ontario. : The Boston Mills Press.. Near Fine in Very Good dust jacket. 1984. First Edition. Hardcover. 0919783104 . 4to - 28 x 21.5 cm. ; 304 pp. Grayish cloth over boards with gilt lettering on the spine and the front board. Photographic end papers and profusely illustrated with black and white photographs throughout. One page bibliography, 2 page listing of people who provided information and photographs, 3 page index of steamboats that appear in the book, and a 5 page index of people, places and enterprises that appear in the book. The book itself has very minor wear to the spine tips, else fine. The dust jacket has mild wear to the head edge and some general though light overall scuffing. . 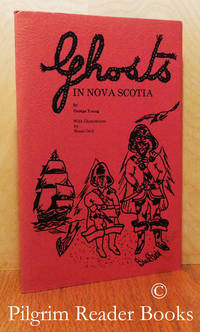 Ghosts in Nova Scotia: Tales of the Supernatural. Queensland, Nova Scotia. : George Young.. Near Fine in Very Good+ dust jacket. 1979. Softcover. 0920454038 . 8vo - 22.5 x 14.5 cm. ; 87 pp. Red card covers with a similar dust jacket, both with black lettering. 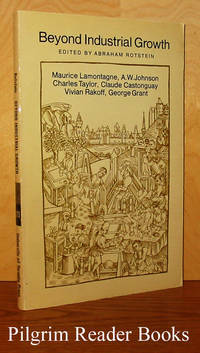 First published in 1977, this is the fourth printing. 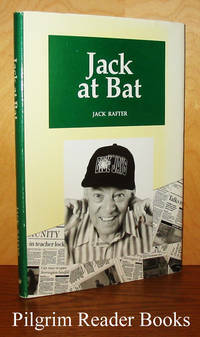 Illustrated with several black and white drawings by Bruce Ostli. The dust jacket shows a wee bit of darkening on the front margins. Signed by the author on the verso of the first blank page. ; Signed by author . 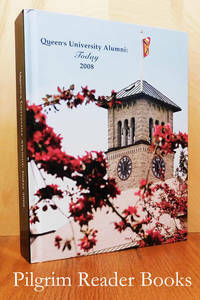 Queen's University Alumni: Today 2008. By Queen's University Alumni Association. Kingston, Ontario. : Queen's University.. Near Fine. 2009. Hardcover. 4to - 28 x 21.5 cm. ; xiv - 1465 - (3) pp. Full colour pictorial paper over boards. A massive compendium of the alumni from the faculties and or schools of Applied Science, Arts and Science, Education, Health Sciences, Law, Business, Graduate Studies and Research, Theological College, Honorary Degrees. Very comprehensive geographical index and an alphabetical index. The top fore corner on the back board is bumped, else fine and as-new / unused as the shrink wrap was removed to obtain the above information. .
By McInnis, Karin and Kathy Verbeek. (Cynthia E. Dawson - editor). Pittsburgh Township, Ontario. : The Township of Pittsburgh.. Near Fine. 1980. Softcover. 4to - 27.5 x 22 cm. ; 55 - 13 pp. Pittsburgh Township is in Frontenac County and was amalgamated into the city of Kingston in 1998. It is home to Old Fort Henry, the Royal Military College (RMC) and the Canadian Forces Base Kingston. 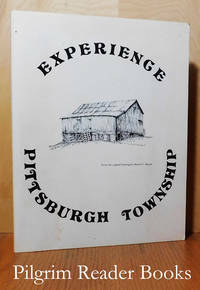 From the foreword: "This book was compiled in an effort to provide a concise and informative reference for the residents of Pittsburgh Township as well as the visitor." Loosely laid in is a folded 16 panel map of the township highlighting the points of interest. The map size is 89 x 63 cm. One inked notation in red on the lower left hand corner of map. The book itself has minor wear with a bit of surface foxing on the head margin of the front cover. . The Review 1986-87 La Revue: Royal Military College of Canada. Kingston, Ontario. Kingston, Ontario.. Near Fine. 1987. Hardcover. 4to - 30 x 22.5 cm. ; 256 pp. Red cloth over boards with a faux leather finish, silver gilt lettering and stampings on the spine and the front boards and the title blind stamped on the front board. 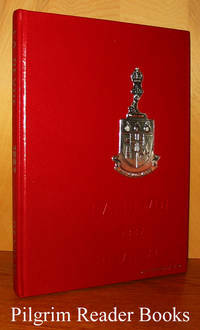 The 1987 graduating class year book for RMC, the Royal Military College located in Kingston, Ontario. Minor scuffing to the back board, else fine. . 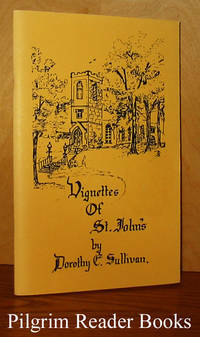 Vignettes of Old St. John's. (Peterborough, Ontario). Peterborough, Ontario. : Privately published.. Near Fine. 1987. Softcover. 8vo - 21.5 x 14 cm. ; iv - 74 pp. Yellow card stock covers with black lettering and art work in a saddle stapled binding. A collection of poems, short prose pieces and reflections all about St. John's Anglican Church located in Peterborough, Ontario. Illustrated with black and white sketches presumably by the author. Minor fading of the covers in the spine area, else fine. .
Shahtoosh. Oncle Feyodor Tales. Species: You Man, Me Woe-man. (3 books). Ontario (?). : Privately published.. Near Fine. 1996. First Edition. Softcover. 8vo - 21.5 x 13.5 cm. ; Shahtoosh: (2) - 72 - (2) pp. Oncle Feyodor Tales: (2) - 77 - (3) pp. Species: You Man, Me Woe-man: (2) - 80 - (2) pp. 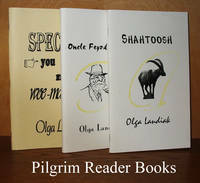 All are printed by Heavensgate Press. All are signed by the author on the first pages. Very minor wear and some light soilng to the covers, else fine. All 3 are included. ; Signed by Author . Archival Sources for the Study of German Language Groups in Canada / Sources d'archives sur les groupes de langue allemande au Canada. Ottawa, Ontario. : National Archives of Canada.. Near Fine. 1989. Softcover. -662563654 . 8vo - 23 x 15 cm. ; A bilingual edition printed in a dos-a-dos fashion. The English part: v - 70 pp. with an 8 page index. The French part: v - 72 pp with an 8 page index. 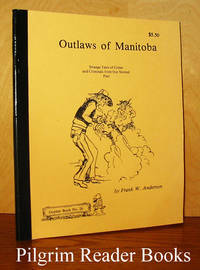 The fourth publication in the "Ethnocultura l Guide Series" from the National Archives of Canada. 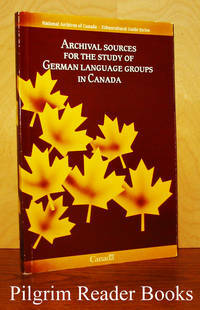 The sources covered are "Major Collections of German Language Groups in the Manuscript Division", "Other Collections in the Manuscript Division that Contain Information on German Language Groups", "Major Church Archives that Hold Documentation Important for the Study Of German Language Groups in Canada" and "Bibliographical Sources on German Language Groups in Canada". Red remainder dot on the text block head edge, otherwise very clean with a tight binding and the appearance of having never been used. .
Outlaws of Manitoba: Strange Tales of Crime and Criminals from Our Storied Past. (Gopher Book #26). Saskatoon, Saskatchewan,: Self published.. Near Fine. Softcover. 8vo - 21 x 17 cm. ; 100 pp. Pale peach coloured wraps over a flat stapled text block with black cloth on the spine all as issued. First published in 1971, this is a reprint edition by the author. Illustrated with black and white photographs. Stories about Richard Power; Gilbert Godon, John Ingram, the Couture Gang, Edward Daniels, Sam Bass, John Krafchenko, Nellie Dunn plus many more. Very slight shelf wear to the cover edges, else fine. .
Napanee, Ontario. : Dauphin Books.. Fine in Near Fine dust jacket. 1999. First Edition. Hardcover. 0919825206 . 8vo - 23 x 15 cm. ; 98 pp. Red cloth with a faux leather finish over boards with gilt lettering on the spine. From the dust jacket: "This book may be characterized as a pot-pourri of trivia, literary musings, and anecdotes, an assortment of morsels designed to shake, tickle, startle or surprise." Signed by the author on the front free end paper with an inscription to Monsignor Raby. The dust jacket has a whisper of wear to the head edge and the spine tips. ; Signed by Author . A Second Helping of Newspaper Pieces. By Robertson, Thomas B. (T. B. R.). Toronto, Ontario. : Macmillan.. Very Good with no dust jacket. 1937. First Edition. Hardcover. 12mo - 19 x 12 cm. ; x - 157 pp. Blue cloth over boards with silver gilt lettering on the spine. A second volume of newspaper pieces by TBR following on the first volume which won the Governor General's prize for the best prose work other than fiction for the year 1936. This second collection of 38 pieces come from the author's time at the Winnipeg Free Press between the years 1918 (when he joined the paper) and 1936, when he died. The GG award for the first collection was accepted by the author's son, George Robertson. Foreword by J. B. McGeachy. Minor wear to the board corners and mild to moderate wear to the spine tips with the spine being darkened also. Otherwise clean with a tight binding. A clear and removable archival cover has been fitted. .
Fredericton, New Brunswick, Canada: Centre for Canadian Studies / Acadiensis Press.. Very Good. 1988. Softcover. 0919107192 . 8vo - 21.5 x 14 cm. ; 120 pp. The 1986-87 Winthrop Pickard Bell Lectures in Maritime Studies. 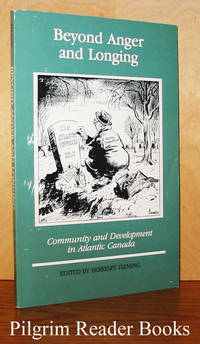 Contents: Introduction by Fleming; A Share of the Necessaries of Life, Remarks on Migration, Development, and Dependency in Atlantic Canada (Wynn); The Atlantic Revolution of the 1950's (Conrad); Outports and the Microchip: Peripheral Regions in a Post-Industri al Age (House). Photos, illustrations, footnotes. Card stock cover lightly rubbed; a clean, tight copy. .
Toronto, Canada: General Publishing Company.. Very Good in Very Good dust jacket. 1971. Hardcover. 0773600175 . 8vo - 21 x 14 cm. ; 132 pp. 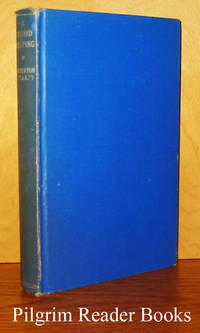 First published in 1967, this is the revised edition. 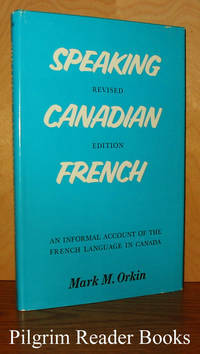 From the front flap - "The origins, characteristics, vocabulary, sounds, grammar and syntax, and names of Canadian French are reviewed, and while readability is the keynote the book is at the same time fully indexed and annotated, has a comprehensive bibliography, and includes a separate index. . . ". Former owner's name on front free endpaper, otherwise, a clean, tight copy. Dust jacket has minor edgewear. .
By Muir, Allan and Doris in collaboration with Victor Nymark. Gardenvale, Quebec. : Muir Publishing.. Very Good+. 1985. Softcover. 0919231004 . 8vo - 23 x 28 cm. (oblong). ; 143 - (1) pp. 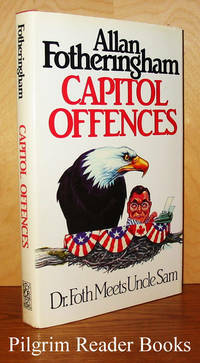 First published in 1980, this is the second printing. 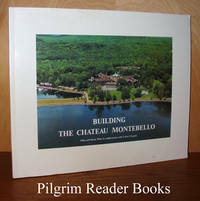 A profusely illustrated documentation of the world's largest building complex built from logs located on the north shore of the Ottawa River east of Ottawa. Originally built as a private club in 1930, it is now part of the Fairmont Hotel chain. Minor wear and some very light soiling to the covers, otherwise clean and tight. . 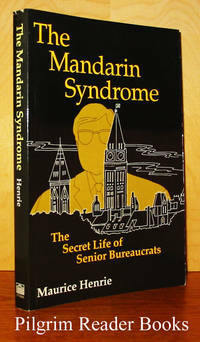 The Mandarin Syndrome: The Secret Life of Senior Bureaucrats. Ottawa. Ontario. : University of Ottawa Press.. Very Good. 1990. Softcover. 0776602942 . 8vo - 23 x 15 cm. ; xii - 248 pp. A translation (and adaptation) by David Homel and Wayne Grady of the original French edition of 1989, "La vie secrète des grands bureaucrates". Light wear to the covers with small chips at the spine head. .
Toronto, Ontario. : McCarthy Tetrault.. Near Fine. 2004. Softcover. 097314817 . 8vo - 23 x 15.5 cm. ; xiv - 999 pp. Yellow wraps with red and white lettering. "Regulatory, financial and ownership information on Canadian television stations and networks and Canadian specialty and premium programming services". 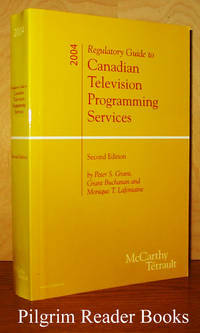 Seven page alphabetical index of television services by name at the back. .
Toronto, Ontario. : Key Porter Books.. Near Fine in Near Fine dust jacket. 1986. First Edition. Hardcover. 1550130048 . 8vo - 23.5 x 15 cm. ; (6) - 250 pp. Red cloth over boards with gilt lettering on the spine. "The Wicked Wit of the West is at his shoot-from-th e-hip best in this cautionary tale of life in the shadow of the giant". Loosely tipped in errata slip re the final paragraph on page 159. Both the book and the unclipped dust jacket show a trace of wear to the spine tips, else fine. .
Toronto, Ontario. : McCarthy Tetrault.. Near Fine. 2004. Softcover. 0973514809 . 8vo - 23 x 15 cm. ; xvii - 1051 pp. 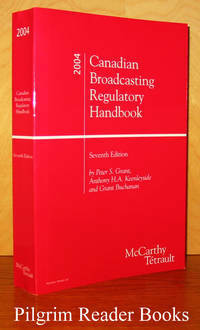 Statutes, regulations, directions, orders, procedures, codes and policy relating to the regulation of radio and television stations and networks, specialty and premuim programming services, and cable television, direct-to-home satellite, multipoint distribution and other broadcast distribution systems in Canada. Fifteen page index by subject matter and a 10 page index to documents by title at the back. Some very light soiling on the text block fore edge, otherwise the book appears to have never been used. .
Toronto, Ontario. : University of Toronto Press.. Very Good+. 1977. Softcover. 0802062865 . 8vo - 23 x 15 cm. ; xii - 131 pp. First published in 1976, this is the second printing. Preface by Robertson Davies. Contents: 1 - "The Loss of the Steady State" by Maurice Lamontagne, 2 - "New Perspectives for Economic Policy" by A. W. Johnson, 3 - "The Politics of the Steady State" by Charles Taylor, 4 - "Social Progress in the World of Tomorrow" by Claude Castonguay, 5 - "Perennial Man and the Slowed Machine" by Vivian Rakoff, 6 - "The Computer Does not Impose on Us the Ways It Should Be Used" by George Grant. Very minor wear to the covers, otherwise clean and tight. .